Charles Metz studied piano at Penn State University, beginning his harpsichord studies through private lessons with the legendary Igor Kipnis. In the process of earning a Ph.D. in Historical Performance Practice at Washington University in Saint Louis Missouri, he studied with Trevor Pinnock. More recently, Charles has worked with Webb Wiggins and Lisa Crawford at the Oberlin Conservatory. Charles has performed across the country with concerts in Chicago IL, Saratoga NY, Bennington VT, Louisville, KY and Liberty Mo in their Baroque music JEMS Fest. He has performed solo recitals at the Smithsonian Institution in Washington D.C., Oberlin Conservatory and appeared as guest artist in Kansas City for the “Bach Aria Soloists” and the KC Symphony’s summer program “Summerfest”. With the Chamber Music Society of St. Louis, he was the featured keyboard soloist in Bach’s Fifth Brandenburg Concerto under conductor Nicholas McGegan. He has appeared with the St. Louis Symphony Orchestra, Ars Antigua Chicago and the Newberry Consort of Chicago. 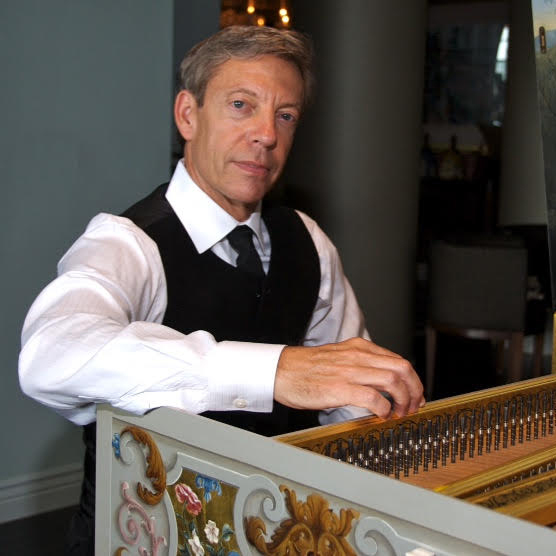 Recently he has played with the Desert Baroque in Palm Desert California and has a full 2017 performance schedule including master classes and performances at University of Michigan, Ann Arbor and Penn State University in State College PA. As an early keyboard specialist he is currently performing on his historic Italian virginal, harpsichords and fortepianos. Dr. Metz’s list of performance credits includes international appearances in the Netherlands, Germany and Costa Rica. Dr. Metz also obtained a doctorate in Optometry and worked for twenty years in his own private practice and Clarkson Eyecare in St. Louis before retiring ten years ago. In addition to his performing activity, he serves on the Board of Directors of Chamber Music Society of St. Louis, The Newberry Consort and Early Music America.